September means summer is officially winding down. The kids are back in school, pools are closing for the season and football is back on TV. The days may be warm still but the mornings are chillier. The leaves are changing colors. And the months ending in “b-e-r” allude to just that – brrr! But let’s not think about that. Instead, let’s talk about all the new merchandise Hinda has added to help you prep for the months ahead. We covered some football-centric items in our last column, but Hinda’s got all that and more for fall and as we move into the final four months of the year! The changing leaves are beautiful on the trees – but not so much on your driveway and patio. This sweeper/vacuum is ideal for blowing driveways, sidewalks, decks, garages and other hard surfaces of leaves, grass clippings and other lawn debris. 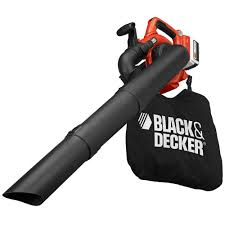 It easily converts to a hard surface outdoor vacuum. Show your backyard who’s boss! Curl up on the couch or your favorite chair without your feet peeking out or drafts getting in with Pure Bliss’ built-in pocket. This quilt features ultra-plush fabric on one side with a lofty and warm comforter on the other. The ultra-plush side is irresistibly soft while the comforter side, with hypoallergenic Better Than Down® fill, offers down-like warmth. It’s more than a throw blanket, it’s Pure Bliss! Any piece in Frigidaire’s line of electric fireplaces makes a stunning addition to your home décor. The mesmerizing flame effects operate with and without heat to create a remarkable ambience in any season. These elite and stylishly designed fireplaces are simply fascinating and are must-haves for every home. Now the enjoyment of roasting marshmallows over an open campfire can be brought to the comfort of kitchens everywhere! The Kalorik® electric heating S‘mores Maker has a charming appeal and is ideal to use inside the house. Just add graham crackers and chocolate squares to make a delicious s'mores treat. No need to wait until next summer – enjoy your favorite dessert all year long! These LED HDTV DVD Combos are versatile quality digital TV/DVD players that fit any room. Features include LED backlit active matrix TFT screens, hi-res picture quality, 1000:1 contrast ratio, built-in DVD player, a variety connection ports, a headphone jack and a v-chip parental control. Don’t miss your favorite fall TV, movies or the big game! Merchandise Tuesday: Time for a Touchdown! As summer draws to a close, the dawn of a very important fifth season is upon us – football season! Whether you’re a die-hard fan or just go for the tailgating, Hinda’s recent merchandise additions include some great items you’ll want to pick up before you get too engrossed in the season. You might be ready for tailgating, but is your technology? The 2.4A Car Charger with Lightning Connector brings you professional audio processing technology in convenient, on-the-go charging. The high-powered 2.4A charger delivers the fastest, safest charge available. 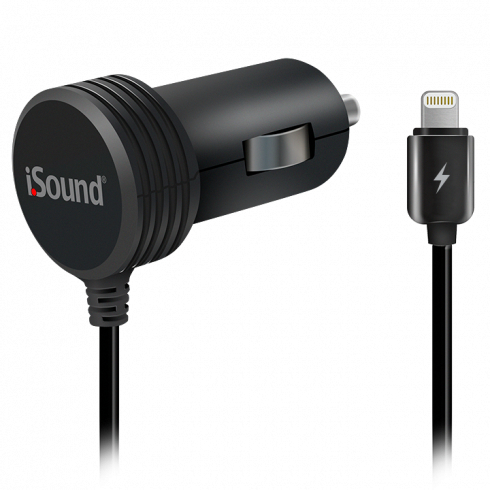 Made for iPhone®5 and other Apple® products with Lightning Connector. Never be without your favorite tunes! The big game deserves big sound! The Jawbone Big Jambox™ Bluetooth® Speaker/Speakerphone enables you to turn any mobile device (phone, tablet or laptop) into a portable, party-powering hi-fi sound system. Fill any space, indoors and out, with stunning audio, and never miss the game no matter where you are! Not home to watch your favorite team? Not to worry! The 3.5” Digital ATSC/NTSC Pocket LED TV features a bright LED backlit display and receives free off-air DTV RF channels and current analog NTSC channels. It also features real-time signal strength display and current program display, channel editing and search and smart power management. Cheer your team on from wherever you are! Ready to perform like your favorite players? The Sklz® Football Training System will help you elevate your game. Improve speed, acceleration and change of direction with the Quick Ladder. Use Reaction Belts for improving offensive and defensive. Maximize top end speed with the Speed Chute and refine hand-eye coordination with the Hi-Viz football. Game on! Looking for a way to transport your goodies to the party or store leftovers when the game is over? Look no further than Hinda’s assortment of Snapware plastic storage containers. From stackable trays and deviled egg holders to dry goods canisters and more, Snapware makes a size and shape for virtually any snack-saving or storage need you have. And just like football, Snapware is made in the USA. Football fans will dream of game-winning touchdowns with this realistic football design. Whether you play or just enjoy the sport, show your love for the game with this football tumbler. Unique double-wall insulation reduces condensation and keeps hot drinks hotter and cold drinks colder. Fits most car cup holders. Strong enough not to melt, chip or crack – just like your unwavering loyalty.